patch andi: My creative space. A while back a friend GAVE me some coveted Flea Market Fancy fabrics .... just because. These acts of generosity deserve a little something in return. Thanks Clair for being just very lovely!! More creative spaces over at Koo's. How well does that button match the fabric! that's a terrific pincushion! Must make me some. Well done! 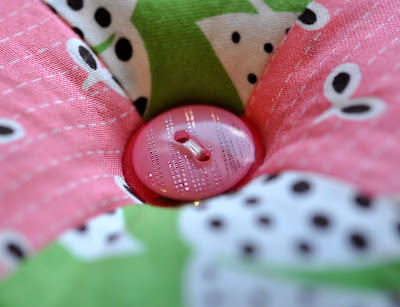 Super cute pin cushion. Lovely dovely indeedy. 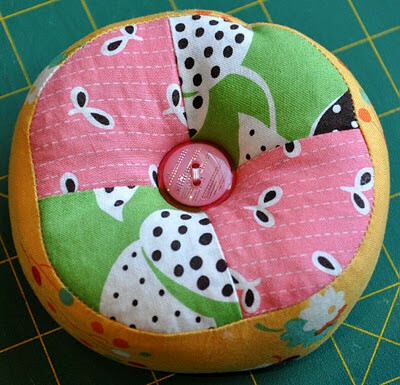 Very cute pincushion! And a really sweet gift. 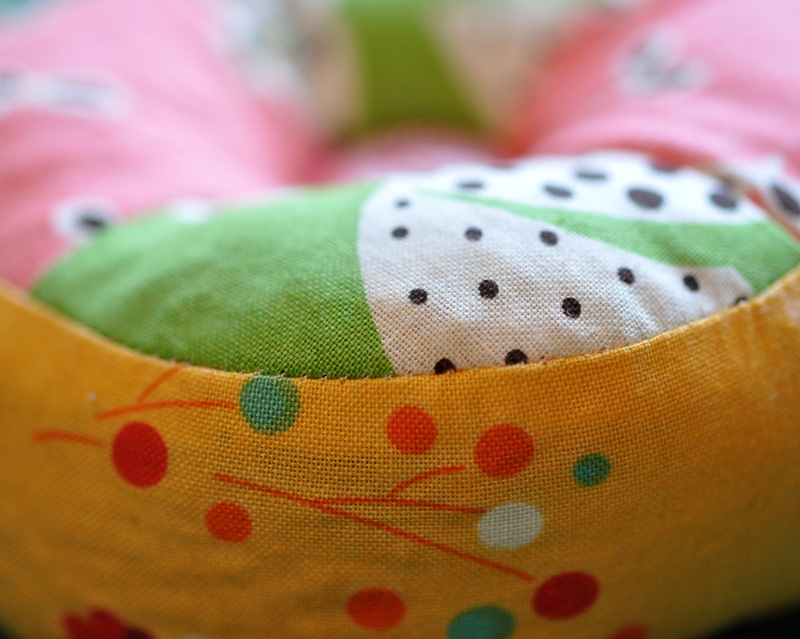 Love the pincushion - the colours all look very summery and delicious together.